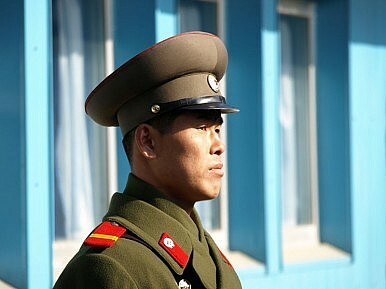 Reports North Korea tested a missile hours before Kim Jong-il’s death was announced highlight regional tensions. Multiple sources are reporting that North Korea fired a short range missile in a scheduled test just hours before the announcement of Kim Jong-il’s death. A South Korean official has gone on record as saying that the test was likely not connected to Kim’s death. Still, it underscores the potential danger of any miscalculations in an already tense situation as the international community looks for clues on who exactly is now in control of North Korea’s massive military and its nuclear and chemical weapons arsenal. The United States, Japan, and South Korea have all increased their levels of military preparedness in response to the death of the North Korean leader, with all three concerned that a period of instability could result from Kim’s passing. It’s also still unclear if Kim’s son, Kim Jong-Un, will attempt to increase his domestic political support by orchestrating tensions with other countries. Von Rosenbach also noted that the South Korean army is about half the size of North Korea’s million-man force, and said its soldiers would be determined fighters despite the fact that they are poorly trained and equipped. Sarah McDowall, senior analyst and desk head for the Asia-Pacific region at IHS, agrees that Kim’s sudden death has plunged the Korean Peninsula into even greater uncertainty. Despite the acclamations, as McDowall notes, it’s still an open question whether Kim Jong-un has had time to build the level of support he needs to prevent the collapse of the regime and the Kim dynasty. Indeed, as Richard Weitz noted in an opinion piece in The Diplomat today, the decision to make Kim Jong-un a general last year – a move clearly designed to bolster his credentials with the armed forces – may actually have undermined his support in the military.